There is power in an intention. It is a promise to the Self. Our thoughts manifest into creation; what we think, we become. In yoga, it is a call to awakening in our practice, infusing every breath, every movement with meaning. In life, it is a call to awakening of Self. 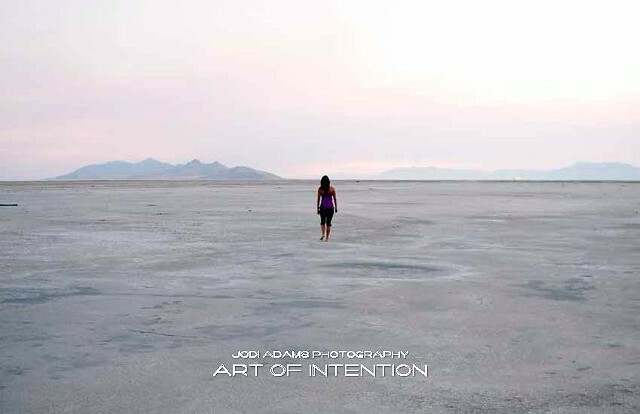 The Art of Intention begins the journey into the Self, offering insight into the human spirit. With the elements of nature serving as a backdrop; water, earth, fire, air, and ether, the human form is celebrated and explored. As a yoga teacher, Adams has begun collecting the intentions shared by her students. Called forth from our shared human experience, the intentions affirm our oneness, our desire for peace, joy, deeper knowing of self, health and freedom. As a photographer, Adams uses art as a vehicle to showcase the deeper dimensions of the human experience within a visual context.